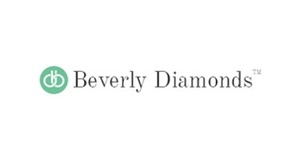 Beverly Diamonds has been building fine jewelry since 2002. At Beverly Diamonds, they are dedicated to responsible souring of products used to manufacture rings and other kinds of jewelry they carry. Their suppliers and distributors thoroughly and carefully follow strict and environmental regulations. Their dedication, more importantly, is focused on providing the highest quality and excellent service. With the fluctuating gold and diamond prices, they guarantee to give the most competitive pricing there is.